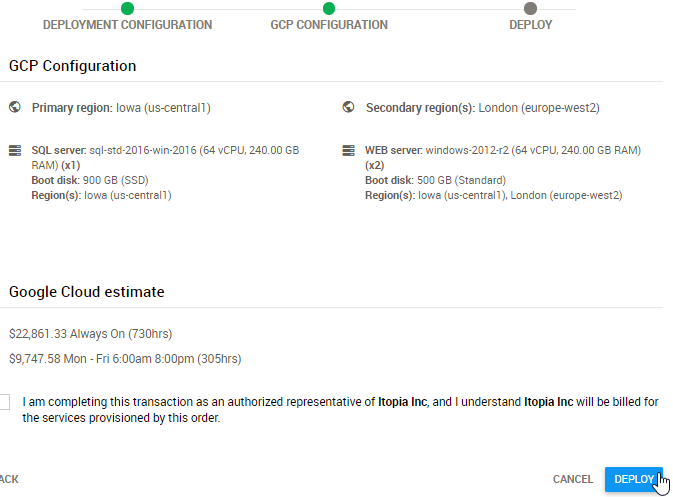 itopia automates the provisioning and management of VM instances on GCP. 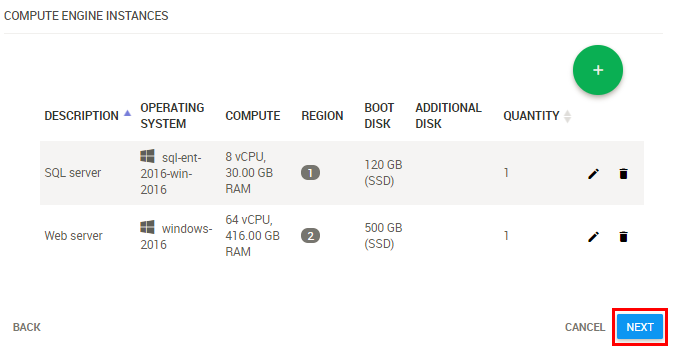 CAS goes much deeper than Windows-based virtual desktops when it comes to automating server-only cloud environments on GCP. An example of such environment is Linux or Windows server farm. 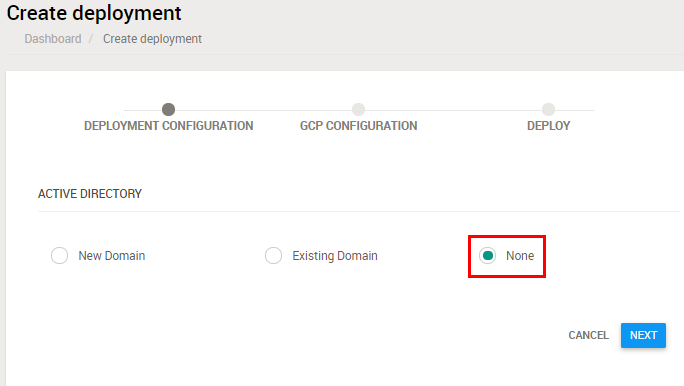 Note: if this is your first deployment, skip to the step 2. Select "None" under Active Directory options and click Next. 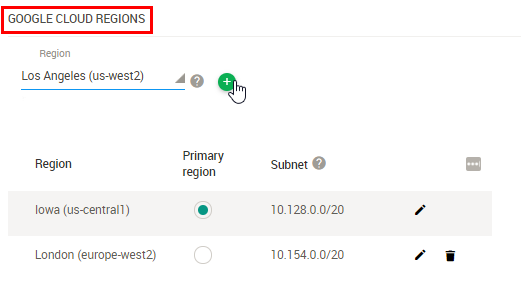 If you want to create a domain for your server deployment, select "New Domain", provide Internal DNS name for your deployment and choose Operating system. Note: To extend an existing domain for redundancy and DR purposes, follow this guide. 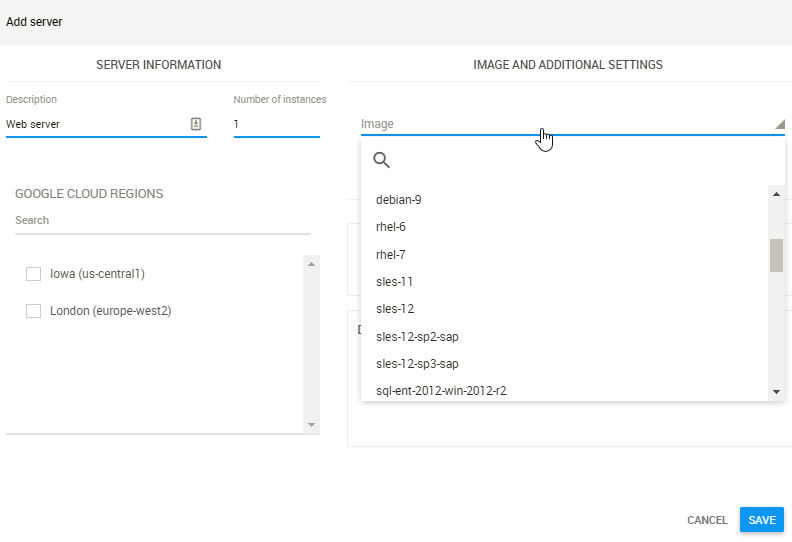 Then create a project that will be associated with your deployment. Put the Project Name and click "Create" button. In case you want to use your existing project, click "Already have one" option and select it from the list. The software is also checking the IP quota restriction. The system will confirm if your Google account is upgraded. 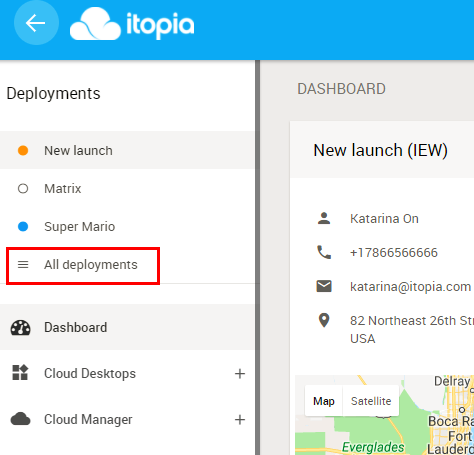 Without upgrading the GCP account you would only have access to limited number of static IPs that may not be enough for a basic deployment in itopia. 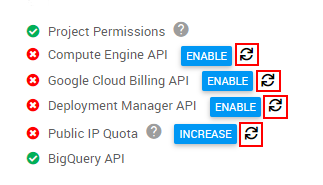 Import your existing app/ web/ database servers created in GCP to your itopia deployment hovering your mouse over the green plus sign. Just select "Import" option. They must be part of the GCP project that you selected in the previous steps. 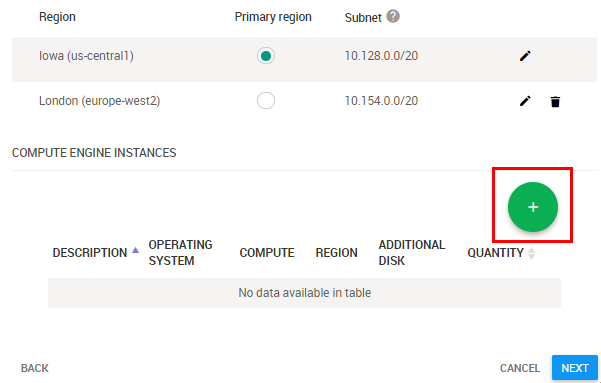 Learn how to import existing GCP servers here. 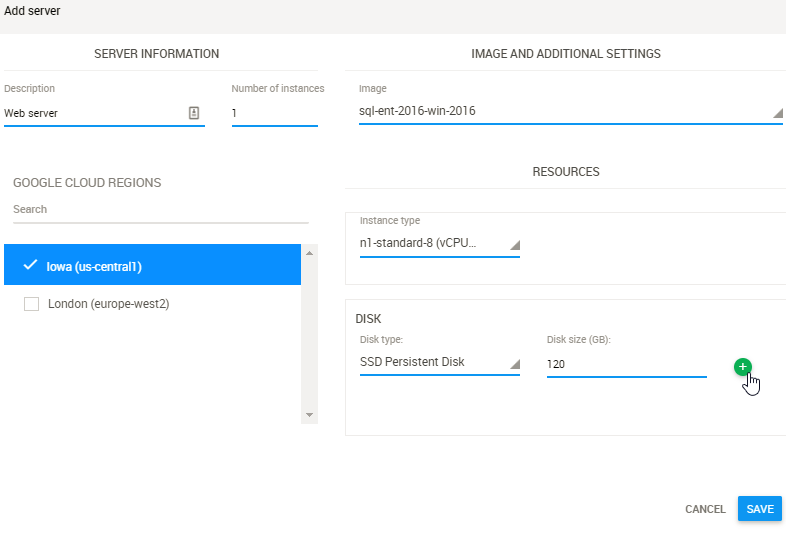 Select you machine type for RAM and CPU amounts and add persistent disks with standard or SSD storage. Click Save. Add as many servers as needed the same way. If you need to edit resources (RAM/ CPU) on any other selected VM instance, just click the pencil icon. 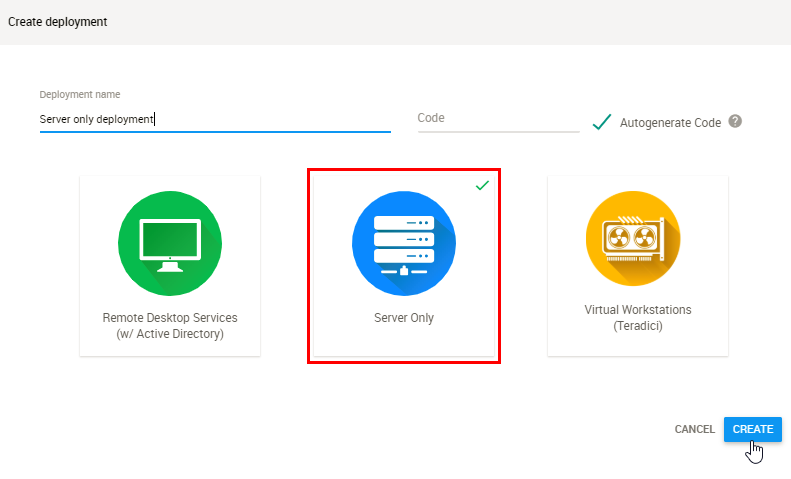 After the automatic server configuration is complete, you will receive an email with server admin credentials to be able to connect to your servers.